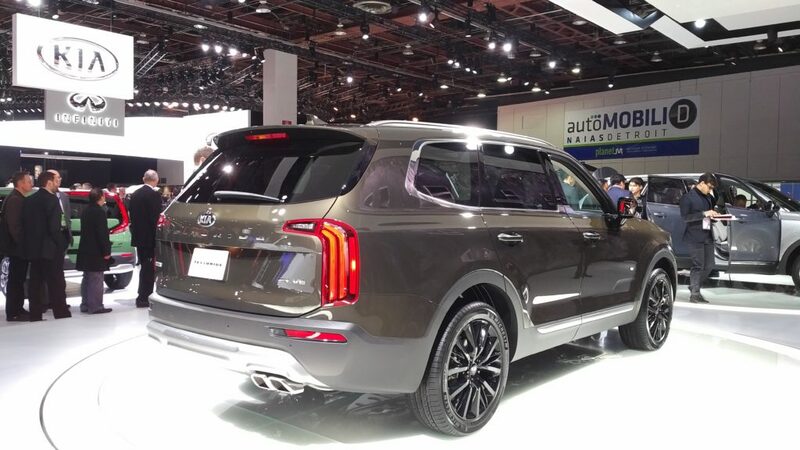 Kia Telluride is the brand’s new SUV flagship. It’s a boxy, upright, but modern three-row heavily based on the concept of a year ago. 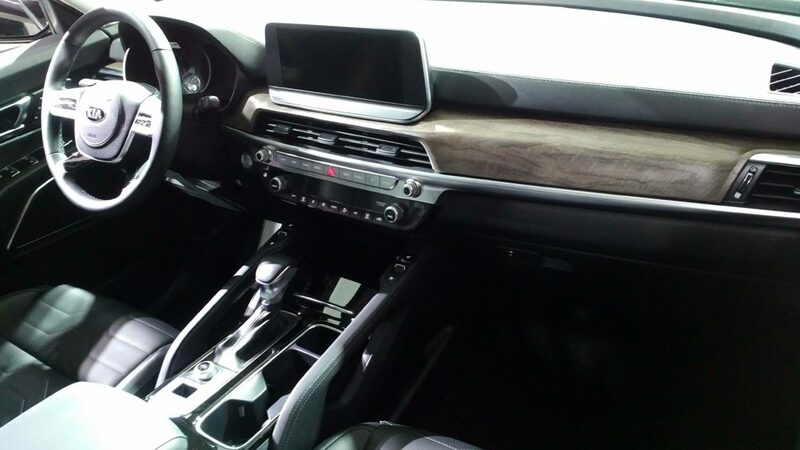 Interior quality appears to be outstanding and Kia has opted to offer the SUV without a cloth interior option. The center dash is simple, but dominated by a very landscape-oriented touchscreen. Seating, ergonomics and switchgear are all very good. Telluride utilizes 291 hp, 262 lb-ft 3.8-liter V6 and 8-speed transmission and electronically controlled torque vectoring AWD with drive mode features. Towing is set at 5,000 lbs max and there’s a self-leveling rear suspension. Safety and driver assist include blind spot monitoring, cross traffic alert, AEB, Lane keeping, smart cruise control, and something called “safe exit assist,” a feature which monitor’s object approaching from the rear and keeps doors locked. 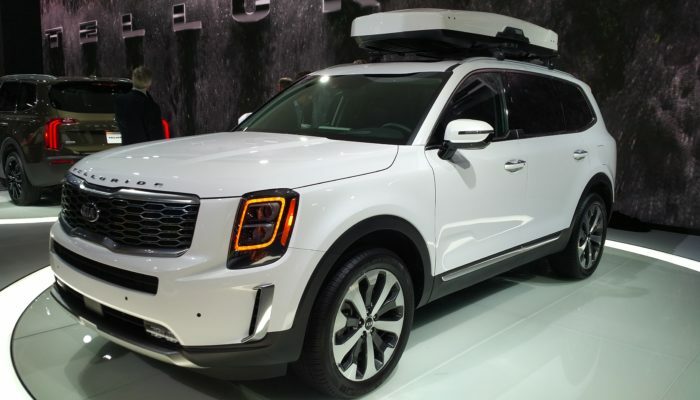 Kia targeting 600k sales this year with the addition of the Telluride. Of significant note is the easy access to the rear seats. A one touch fold and slide mechanism with buttons at the shoulder and thigh areas make ingress easy for both children and adults. Futher, returning the seatbacks to the previous position is an intuitive, one-handed procedure.